When I was 20, the first book I read on investing was “Buffettology “. It explains how the world’s richest investor, Warren Buffet selects companies to invest in. I was fascinated by how a man could be so wealthy by simply picking the right stocks to hold for the long run. Who wouldn’t? After reading Buffettology, I was hooked. I started researching all I could to make myself a great investor. Voila. The secret to successful investing! Armed with my new found knowledge, I was ready to pounce the markets. My first stock I bought was Sembcorp Marine in 2009 because it had solid fundamentals, and the markets were recovering. I got long at $3.28 and told myself to hold this stock till the price doubles! 5 days later, I bailed out at $3.08. What a chicken I was. Then I did a short reflection and concluded that it was my emotions that trigger this action of mine. Not giving up just yet and with the markets making a bull run, I knew I had to get back into the game. Being naive and ambitious I did more fundamental research and bought more companies, with margin. I went long Noble Group, Keppel Land and Sembcorp Marine with an initial outlay of $20,000. In 2 months, I was up close to $10,000. But me being a fundamentalist, trying to emulate Warren Buffet to hold these stocks for the next 30 years, I held on. At this point, I was feeling like a champion, with a knack for picking stocks. Even my broker was commenting that everything I touched turn to gold. 2 weeks later, my unrealized profits of $10000 vaporize into smoke. The Euro Debt crisis had hit the markets. …I had nothing to show for but a stench of bitterness. 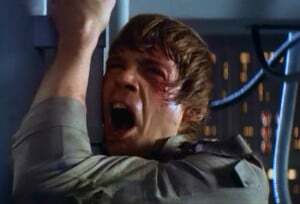 One moment I was feeling like Rock Balboa, the next I was Luke Skywalker when he realized Darth Vadar was his father. I am a fool. What was I thinking?! Those phrases kept playing in my head over the next few weeks. Eventually, I bailed out of all my positions when the price went further against me. I just couldn’t bear the pain anymore. A few months later after recovering from this mental trauma, I started reflecting once more. What did I do wrong? After much brainstorming, I realized I had no plan for exits. So this led me to further research on stop loss, entries, and exits. If you Google that long enough, forex trading websites would start appearing on your monitor. So after my failed attempt at being an investor, I figured being a trader would better suit me. I was immediately drawn to the fanciful charts and colorful indicators that beautify my screens. This beats crunching numbers and financial statements. In the matter of days, I find myself drawn to trading more and more. It became my passion whereby I was spending more than 10 hours a day in front of the screen. Everything started to make sense and trading didn’t seem that difficult. And it could be found on trading forums, for free! Why would I want to invest in a stock for years when I can buy and sell currencies in minutes! The following series of events occurred while I was studying in university. It was on Babypips where I was first exposed to a trading strategy. I was looking for anything interesting and chance upon a thread teaching new traders like me how to trade. The thread owner had a huge following and traders were worshiping him like a Demi-god. Since I was new to trading and so many traders can’t be wrong, I followed him religiously as well. My first trading strategy was using Bollinger bands to buy low and sell high, and take profit at the opposite end of the bands. I thought this was the Holy Grail! Every chart that was posted made money. But it was only after I traded it myself did I realize that there was more than meets the eye. I traded this for 6 months and lost money. I concluded this wasn’t going anywhere and looked for another strategy. Sounds familiar? After my failed attempt with indicators, I was feed with the notion that it lags the market, and that’s why I wasn’t profitable. This then led me to trade raw price itself, the price action world. This led me to Forex Factory where there’s a thread dedicating to “price action” trading. Among the different trading strategy I tried, I spent the most time and effort on “price action” trading. Reason being there are so many trading gurus out there teaching this method and they all have a huge following. They all can’t be wrong right? I was an ambitious naive trader who wanted to make millions of dollars. I couldn’t possibly settle for one trading strategy. Thus, another trading strategy I was trading concurrently was harmonic patterns. The Harmonic Trading Strategy took me 6 months to figure out. I thought to myself that the more complex a strategy is, the more powerful it will be. How silly I was. In essence, harmonic patterns are drawn by using the confluence of Fibonacci ratios and extensions. They have a few variations of harmonic patterns, like Gartley, Bat, Crab etc. Personally, I find harmonic patterns to be the most beautiful thing on my charts. But I was in this business to make money and not draw beautiful patterns. Numbers don’t lie. And the reality was that I was a losing trader despite learning so many trading strategies. From indicators to raw price action to harmonic patterns. Just name it, I probably would have tried it. At this point, most traders would have thrown in the towel. I mean, who would continue trading after spending thousands of hours at it only to lose more money than he started. It’s a losing proposition! But the stubborn me refuse to give up, always believing that I am one step closer each day. And know what’s the funny thing? I graduated with first-class honors but failed at trading. So it is true that even if you have a degree, you may not be a profitable trader. This had to be my darkest days in trading when the statistics stared right in my face. I followed my trading plan religiously and adhere to my money management, still, it wasn’t enough. When I graduated from university I knew there was only one career path for me, proprietary trading. During one of the interviews, the interviewer made a statement that hit me hard. He said, “if you’ve been trading your strategy for the last 1 year but it’s not making you money, you better find a new strategy”. That was a wake-up call for me. It doesn’t make sense to stick to the same strategy throughout the years, firmly believing you have an edge when clearly the result speak otherwise. I knew I had to let it go. Shortly after I was accepted into their proprietary trading firm, my journey to professional trading began. I first started out scalping the futures market and doing arbitrage across inter-related markets. Within 6 months I knew it was not something for me as I wasn’t comfortable with the psychological aspect of scalping. Albert Einstein said, “Insanity is doing the same thing over again and expecting different results”. Despite trying out so many trading strategies and none seems to work, there were important lessons behind it that would make me the trader I am. And that I would like to share with you. This is solely my opinion and I could very well be wrong. Most indicators lag the market so it is difficult to enter at a good price. By the time the indicator has confirmed you would probably miss a chunk of the move. Furthermore, confirmation from an indicator does not necessarily increase your win rate, thus, I stopped using indicators for trade confirmation. Instead, I use indicators to allow me to identify support & resistance, and gauge the volatility of the markets. This has to be the most popular trading approach among retail traders due to its fantastic internet marketing. Because of its popularity and the herd mentality, it was very hard for me to let this strategy go. I kept telling myself this has to be the way to trade and the only way to make money. And I’m wrong once again. The biggest problem I faced with price action trading was waiting. I was always waiting for the price to come to my level, and then form a reversal pattern before initiating a trade. And often price doesn’t do that and continues moving in my intended direction. Looking back right now, I realized there’s more to “price action” trading than just Support & Resistance, Pinbar & Engulfing patterns. You can look at the volatility of the markets, the size of candles and much more to give you a feel into the strength and weakness of a market. That being said, I did learn a lot from “price action” trading. I was trained to draw support & resistance, understand confluence and to be patient, really patient. What can I say? These are the most beautiful chart patterns I’ve come across, no doubt about it. I was seduced by this trading strategy due to the high winning rate (70% from what was being claimed) and making my charts look like “I know what I’m doing”. However, one of the problems I encountered was the subjectivity of drawing these patterns which constantly makes me doubt myself. Nonetheless, the biggest takeaway I had was identifying good risk to reward ratio which allows me to be wrong more than half the time and still makes money. There is one quote that kept propelling me forward and to be open to constant learning. After 4 years of trying out different trading strategies, I’ve gathered feedback to know what works and what doesn’t. At the same time, I learned more about myself as a trader and started having an idea what kind of trading strategy would suit my personality. When I understood my trading psychology better, that’s when I had X-Ray vision to see which are the trading strategies that would fit my personality. It is not long later that I met my wife, trend following. But is it a good marriage? Initially, my first impression of Trend Following was simply trading with the trend. But as I read more books and studied research papers, I realized it is much more than that. After being a losing trader for 4 years, it took me 6 months to make back everything and more. It felt darn good when I saw my account back into the green and growing after what seems like forever. To me, it is not the end but the beginning of a life-long career in trading. If you’re reading this and struggling to be a profitable trader, then I want to tell you that it can be done. Yes, the journey is tough, the obstacles are huge and the heat is on. But you are not powerless. You have a mighty weapon called discipline and a protective shield called perseverance which will see you through the fire and the storm. Still, if you are having a hard time trying to improve your trading, leave a comment and I’ll be glad to help you out. That’s an awesome story! In my trading I’m at the part where theres the turning point! Nice quote by the way! Do i hear that Michael Jordan quote within your lines as well?! Well played Sir! I hope it works out for you too bud! Three years now and am still making losses. However, learnt soo much. Am soo much better emotionally, some discipline coming in, and more and more patient as I put to test my professional strategy. I just finished my associate degree with higher honors and still a failing trader! Waoh, I am still in the game. Thank you for sharing your trading experience. None of the textbooks in Singapore will teach this, and I wish someone told me this when I was young. Sharing your personal experience is a very surreal process in imparting knowledge and wisdom to others. Yes I have come to the same conclusion. I’m a Trader following the trend. Buy and hold is dead in my world. I am still holding on to Sembcorp shares bought at 4.60.What should I do?Sell?hold? Sorry but i’m not in a position to advise you because i do not know the reason for your trade. your article is awesome as always.. keep it coming!! Thank you for your kind words Kent! Yes you’re right, trading without stoploss is playing with fire. It’s a matter of time before it catches up with you and wipe out your trading account. Yes spend time with your loved ones is not a bad idea, trading isn’t everything afterall. I hope all goes well for you, let me know if you have any questions about trading i will do my best to help. zh… I had the same problem with u too… my account was up 300% and overnight I lost 80% of my capital…. Thanks for sharing such an inspirational story for all passionate traders like us. As i read through your story. I cant help to feel that your story echoed my trading journey and i hope that i will be one trading profitable like you in the near future. I confess that i do face doubtful periods during my trading journey i started 3.5years ago. Without any results make me feel like I am not suitable for trading. Yes i can totally relate to what you’re going through, as i doubted myself for years too. But i believe if you persevere enough, remain a discipline approach to trading, and find a successful trader to model, you can do it too! I’ll be glad to help, just let me know. Thank you for your prompt reply. I will definitely seek some advise to you. Don’t mention it and i’ll be glad to help! I know the feeling is horrible. But trust me if you fight on you will see light at the end of the tunnel. So don’t give up and fight on. If i can do it, so can you! Thank you for this post Rayner. You really gave me a wake up call. Started trading only recently but the feeling of constant losing really isnt enjoyable at all. Well it’s never too late to start improving on your trading. Yes losing isn’t enjoyable, however when you lose it’s a feedback mechanism telling you that something is wrong and needs to be worked out. That way you can always strive to improve for the better. Don’t give up, you can do this! Feels exactly the same as I do as i have and still journeying through what u are doing as well. At the end of the story what is your working strategy now ? I am most interested and i suspect this will help get our of the constant losses for us all. Thank you. I am a trend follower and basically i only trade markets that are trending. I can’t say that my strategy will work for you as we have different psychological make up. But you could give it a shot and let me know how it goes. Check out my market analysis and you will have a good idea of how i trade the markets. I like this article because it is written neutrally. That’s characteristic for every successfull trader. I becamme successfull even more i master my emotions. At the end, my Key to success, was moneymanagent, and a well balanced mindset. My motivation to trade was in the beginning, the hope to geting financial independed. But i found more in the FX market. Finaly i learned a lot about my self so far. Only because of that was it worth. Wow 100%. That takes alot of courage to fight back despite being a small account. Yes i do agree that mindset, money management all comes into play if i were to trade properly. Added all these elements together, that’s how i define my edge. Once again thank you for your kind words, much appreciated. What can i say, Rayner ? You have said ” It All ” ! It’s a privilege to have you checking out my posts regularly, thank you! Great article! I am struggling to be a profitable trader, your article gives me encouragement that there is hope! Thank you, yes there is hope. That includes you my friend. I can feel 80% of your article until the part you become profitable. Haha.. 2014 was a turning point for me for which i have decided to stop trading as i have lost much more than i have earned when i was at more than 500% in profit and got wipe out not just that 500% but more within a mth or so? I realized i became a gambler than a trader. Here are some challenges I have faced and not overcome. – having stop loss, but that depletes the account gradually-depending on the size of trades though. – having no stop loss, manage to win big but lose bigger. – emotion overrun. Almost impossible to manage emotion by not looking at the profit and losses every now and then. – trend following or not? scalping, always at the losing end as i’m not fast enough or broker have delay. trend following, hard to put stop loss and dont know when to take profit and in the end, trend reverse and wipe out. Should i give up? yes for now as it’s affecting my daily life and marriage. But i still want to become professional trader as i do not want to give up my 7 years of experience. I can totally relate to what you are going through right now. The despair, the thought of wasting countless of hours only to continue losing. I’ve been there and the only way forward is to REFLECT & NOT GIVE UP. It’s good to know what are the problem you are facing, this is when you start to think about the solutions. It all begins with asking the right questions which clearly you already know what they are. Now is the time to put together the remaining pieces of the puzzle..
1) You definitely need a stoploss for every trade, because it is a recipe for disaster if you don’t. 2) You get emotional, that could be due to you are trading with a size you are not comfortable with. I would suggest to scale down to micro lots if need be. Trading is a marathon, not a sprint. Focus on getting the process right and you can increase your size later on. 3) Scalping is disadvantages to a retail trader due to speed and transaction cost. You know it, so consider trading the higher timeframes instead. Trend following? It worked for me and i hope it could for you as well. Do check out my series of videos. I talk about how i analyze the markets, enter and exit. Watch as many as you can to get a feel for what i’m doing and see if you can relate to it. Give up? Well the last thing i want you to is lose a marriage because of trading. How about trading a micro account to reduce your psychological pressure instead? I hope you give it a shot and keep me posted on how it goes. Thank you replying. You are right that I got emotional due to large trading size. my trading size increased with confidence and over confidence cloud my judgement and without confidence, defeats the purpose of trading. Ironic isn’t it. But i do understand what you trying to say on trading on micro lots which i might just try. And yeap, will find sometime and go through your video and drop you any note or question should i have any. Hey your story is very similar to mine, from the time you started trading. I to have tried all sorts of strategies over the past five years, (except the harmonic one didn’t and still don’t like it). Persevered with a few accounts been blown out, both demos and live ones. 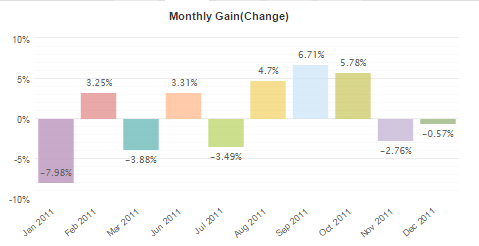 But in the last six months been trend trading mainly because of your posts etc. that I one day chanced upon. It’s all looking very profitable now and it’s a safe way to trade. Cheers Rayner! Keep the posts coming they are very helpful for confirming in my mind I’m doing the right thing. Thank you for sharing your story with me. I’m really glad that you are seeing the positive side of things now. It isn’t me but you that did the hard work! So keep it up! I’ll be keen to hear more about your updates, so keep me posted eh? Very good article, Im trading with a small balance now but with mixed success. Do you ever have the feeling of doubt when you enter a trade and it just eats into ur soul until it is over? Yes i have a feeling of doubt throughout these years, whether i can make it or not. But once i hit those big home runs that more than cover my small losses, i know it’s a matter of surviving. Survive the small losses which are the cost of doing business, the big home runs will eventually come. i m new to trading. can you recommend any good trading resources to learn to be a good trend follower? Sure you can check out a range of books here. This post of yours resonates greatly with me, as i have lost 50% of my starting capital as well, all of which are hard-earned savings from national service. I also began with the mentality of holding for many years trying to be another warren buffett, then ventured into penny stocks where the asiasons/blumont saga nearly wiped me out, all within minutes while i was having lecture in school. I continued reading voraciously. Simultaneously, i went for a paid course, set up a cfd account with a certain singapore brokerage where the commission killed me even before the one big profitable trade could come during the bearish months of 2013 and 2014. I am since then, venturing out of the singapore market, exploring the other financial instruments offered such as futures, forex etc. I’m still leveraging as my capital base is rather small, but with prudent risk management. 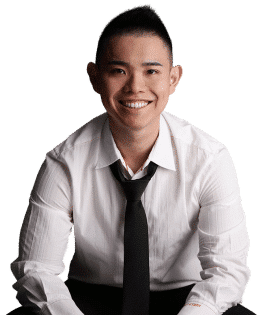 Still in the midst of earning back through simple price action as well as trend following, which i hope to learn more from your continued dedication to this blog. I have only recently went back to looking at forex charts after revisiting your blog, the last time being many months ago after stumbling upon your post in hwz. More so than knowledge, I feel that tenacity and discipline (and experience) are really mandatory to sustained success in trading. The learning curve is also very steep without a mentor, even the very first step of setting up a brokerage account is very much daunting, much less talk about trading. Hoping to learn more from you on your blog. Your selfless imparting of wisdom is really commendable, unlike many so-called experts out there. Really heartfelt thanks to you. It is my dream to have a trading career after graduating from university ever since venturing into the stock market, and this inspirational post has further reaffirmed that dream. May 2015 be a year of great returns to you. I understand what you are going through and i must say it is commendable to have that fighting spirit in you! Yes discipline and the hunger to succeed are key ingredients to make it in this business. There will be tough times, you have to brave it through. I don’t deny that i myself still face psychologically issues from time to time. But look at the big picture, if it’s that easy everyone will be millionaires. But no, it takes more than that. I’m honored to have you say such kind words, and i’ll be more than willing to share with you what i know. Best of luck in your studies and trading! For beginners who have totally 0 clue on even where to start learning trading, can you please suggest where we should begin with? I would suggest taking up the free course at babypips school. Great post Rayner! Surely one of the best i’ve ever seen. I run into your strategy 4 months ago, and i’am working hard to become a profitable trader. Thanks to you i am a little bit closer. Great to you see here as well my friend. Thank you, but i believe it’s your hard work that get things moving. So good on you! Feel free to pop by anytime buddy. Thank you for posting your article. My story is same as you but for the last part. Struggling since 2009, I have seen ups and downs and have paid heavily for tuition. It was not until end of last November I treadled upon several trend trading sites. In last month I am seeing a positive change. Based on my experience and over 30000 hours of screen time, I can easily related with your story. Thank you for putting all this. Thank you for sharing your story with me. Yes the journey is tough and i’m sorry to learnt that you paid heavy tuition fees. But i’m very glad you are seeing positive change and i hope it will more than cover what you’ve lost earlier on. so you have been studying charts for 13hr EVERY single day for 6 years straight? I thought that was a damn good quote. I like the blog and appreciate all that you share. In the article above you mention trying various methods and failing repeatedly but then joined a prop firm. Can you tell me how that works? I thought a prop firm only hired proven profitable traders, but you got hired and then traded a Trend Following style. If you have already discussed this elsewhere please refer me to it. Thanks very much. Thank you for your kind words, i’m glad you liked it. In Singapore, prop firms don’t necessarily hire profitable traders. They are opened to fresh graduates as well. I wasn’t hired as a trend follower but rather a scalping approach. But was fortunate to eventually adopt in to a trend following approach. I hope this post could shed some light on it. Congrats on that December month! Well it’s a little misleading there as it only takes into consideration closed trades. The spike in December was actually due to the Usdjpy positions I have carried over the few months earlier. The article was truly inspirational! we share 101% similarity (even the 1st class honors part) haha. I am in my 3rd year of (failed) trading. I believe that my own emotion is the biggest enemy in trading. Hopefully, I could overcome it and trade confidently like you (i.e. ride big wave). Keep up your weekly sharing! in fact, will you consider doing daily market “alert” for intraday trading? ps. are you a full time trader? Thank you for your kind words, am glad you enjoyed it! And it’s awesome to know you’re a 1st class hon graduate too! Yes i’m currently trading full time with a prop trading firm. Thus it’s quite impossible to do any videos while at work, lol. Appreciate your article and it is very encouraging to me. I had started live forex trading after a year of trial in demo account and i believe I ready for the real profit. Initially I gain 30% and and recently loss to left 10%. I had once felt wanna gave up. Now I decided to continue after read your cheerful article. Once again thank you. By the way, are you still working as properiatry trader? Do you mind share with me more through my email? I am glad it is encouraging you and thank you for your kind words! Yes i am still working as prop trader. Feel free to ask questions here, or if you want email is fine too. It’s great to hear from you. Yes i understand how you feel and i truly hope you don’t give up. Do fight on and let me know how you progress, would love to hear from you. 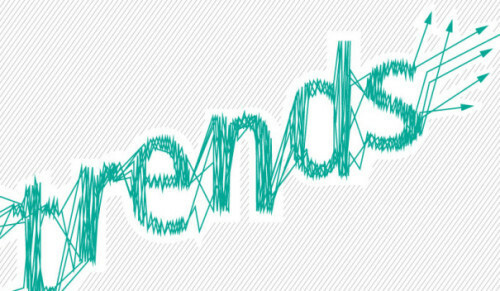 1) What is a trend to you? Do you only enter when there is one? What if the market is trendless? How do you identify a change in trend? 2) You emphasize the importance of stoploss. Do you feel the same way about target price? Or you prefer to let the trade run and shift your stoploss with it? 3) What is your winning rate? If you don’t keep a record, throw a rough percentage if possible. Thanks a lot man; looking to learn more here. 1) Yes i do enter only when there’s an obvious trend, otherwise i stay out of the market completely. You can check this post here on how i tell when a trend may be ending. 2) I let my trades run and never have a predefined take profit in mind. I trail my stops till the market takes me out of my position. 3) I win about 30% of the time. 1) How many pips is your trailing stop? 2) What is your longest string of losses? I don’t have a fix number of pips as trailing stops, because it is relative. Some pairs are more volatile than others, and would require a higher number of pips. I use ATR instead to trail my stop loss. I have losing streaks of 10 in a row before. Thanks. Personally, I have never used ATR to trail my stops, so no experience there (will check it out though). My SL is usually fixed below a significant low or above a high during retracement. What would you say is too tight a SL? Assume hourly or 4-hourly time frame. Alternatively, how far away is the average SL on a least volatile pair you trade? If I am just starting out in FX, what would your recommended minimum capital be? How long did you take before you could say your system is profitable? (If this is in a post somewhere, feel free to link me to it; I have barely gone through your posts yet as I’m new here). Sorry for the wealth of questions, really eager to learn a lot here. I would highly encourage you to read through all my blog posts and watch about 15 videos back. It would give you a good idea on how i trade. With regards to stop loss, you may want to check out this post here. The minimum capital is an amount that you can treat it seriously when trading, and yet not small enough so that you can pay as little ‘tuition fees’ as possible. It took me about 4 years to be profitable. Hope that helps! Great. Much thanks. Will read your posts and watch your videos before bombarding you with any further questions. I stumbled across your blog and I wanna say thank you for your posts! Keep it up! You are most welcome, I’m glad you find it useful to you. Hopefully it inspires others to look at trend following. This doesn’t sound very professional advice to me. You could count on the fingers from one hand the traders with long track-records and zero down years (Stanley Druckenmiller and Paul Tudor Jones come to mind). I see that you now settled on trendfollowing. This is not a strategy that guarantees zero negative years (no strategy can do that). Will you jump ship at the first sign of loss, as per the interviewer’s suggestion ? That’s a great point you made. But i believe in that context he was talking referring shorter term trading, scalping to be exact. Scalping usually would generate a much higher frequency of trades thus their edge should play out in a much short time frame compared to a trend follower. And if after a year they are down, it would probably be a wake up call for them to re-evaluate what’s wrong. Now that i’m a trend follower trading on a much higher time frame, it is not logical for me to jump to something else even if i’m negative for the year. Because chances are it is a draw down in the grand scheme of things. Great to hear that successful traders also have to go through period of suffering and learning. I am still at the suffering stage, hopefully one day can transit to be a successful trader like you. Yes I definitely had my share of ups and downs, but I’m glad I stick through all the way. Don’t hesitate to let me know if you’ve got any questions alright? I’ve always been attracted to trading currencies, because i’m poor and the financial freedom sounds great, if you can be successful. Unfortunately though i haven’t been at it long i have not been successful, thankfully i’ve only been using demo with Nadex. I was just starting to gravitate toward price action. Is price action all bad? I think i’m going to read some books on personal finance, then some books on trading. A misconception about trading is that it can bring you fortune in a short period of time. Unfortunately that is further from the truth. In trading you need money to make money. …A $1000 account would only be $200 a year. But on a $1m account, you’re looking at $200,000 a year. And this is what I mean by you need money to make money. Regarding price action, first you need to define what is price action? If you’re referring to solely trading pinbars and engulfing patterns, then you do need more than these patterns to be profitable. I believe this post here can help you become a more consistently profitable trader. This is awesome article. same year i started trading and still losing money. I feel a bit stupid. I hope someday i can catch up. I use mean reversion with oscillator and chart patters such a double bottom, flag or head and shoulders. i can make profit during demo trading. but i cannot on real money. i feel very nervous even with small balance. It’s normal to feel nervous when trading live, especially when just starting out. Your focus should be on following your trading plan flawlessly. I have been trading for 4 years now. I had good days and bad days. I totally relate to your article. I had the steep learning curve you had mentioned but after 4 years there is a BUT. I still make stupid mistakes. I am still waiting for the turning point that happened to you. I sincerely hope you find that ‘AHA’ moment as well. May I ask if your strategy is suitable for people like me who dont have alot of starting capital? At most a few k? I’ve attended various course and most of the time you need alot of capital to really profit from a short period of time. Yes you can start off with a low capital amount. You’d probably be trading forex and CFDs. I wouldn’t look at trying to profit within a short time. Trading is a skill that needs time to develop (possibly a few years before becoming consistent). It’s best to align your expectations from the start, than be disappointed later on. Your story is more common than seems. I think many of us had lived those same situations. In my case, I´m still on that, trying to found the trading style that better suits me. Thanks to people like you, that shares all of your experience. You’re most welcome, glad you enjoyed it. Yes finding a trading style is like finding the ‘right’ wife, it takes time to find something that actually suits your schedule and personality. Thank you for the honesty in your journey. I also would love to be a mentor to those who are struggling one day myself. I have yet to trade live, only demo, and I really am quite bad after 9 months. Making some progress but the bad and ugly continues to surface. Need more good for my turn around. I have just discovered your site and have a good feel I am in the correct direction. May our brains continue in a positive fashion…thanks again. It takes time to become a consistently profitable trader, but hey, its worth it. To put things in a slightly different light, I think that you almost HAVE to go through a series of trading systems to get to the one that works for you. So it might actually be beneficial for people to fail as quickly as possible so they can figure it out sooner. Also, I think we beat ourselves up too much for a system that didn’t work out. We just have to see it as part of the process, and move on without getting too emotional about it. Of course, this all depends on if you are quitting for the right reasons…but that’s a whole different story. Anyway, your site is coming along nicely, great job! Yes its a learning process where a trader tries different approach, and finally BAM, he finds one that makes sense, and stick with it. That’s usually what I noticed, and its the same thing for me. Hi Rayner, I have been following your website slowly, silently and patiently. Thank you for every thing you teach us here. I’m very grateful. You are doing very well. Keep going ! Thanks for reaching out. I’m glad to hear that its helping you. I like to know about the risk management, i read online that if i have $100 in the forex account, is that the only total amount i have to lose in the event that my forex trading got square out? If you only have $100, then you would need to be trading in nano lots, to adhere to proper risk management. wow, thanks for the prompt reply. and yes, it helps. Can i seek your advice on the mt4 platform from IG? You’re welcome. I’ve not used IG before, so I can’t comment on it. no worries, do you have a review on the brokers? it make sense that the broker is local in singapore, for all the “just in case” matters. What i know now only IG, Onanda and CMC is locally based. Any advise on the brokers will be helpful. I don’t have reviews on them. You can try asking people who have traded with them, or google it. This is so encouraging as I have been struggling to be consistently profitable trading FX. Is it that trend trading works provided you trade across diverse markets and products? I have not gone through a lot of your articles yet, but you mentioned trading CFDs as well. Do you mean indices, commodities and rates? Also, on the question on broker, is it convenient for you to reveal the broker you are using? Yes. I trade across forex and futures product. CFDs can be substituted for the futures product if a trader has a smaller account. I don’t publicly talk about brokers but if you want to know, feel free to email me. Great site. I read your book and I remember you stating about following mentor without a proven track record. I was wonder if you can provide the link to your myfxbook.com or username, so we can keep up with your track record. You can check my performance here. 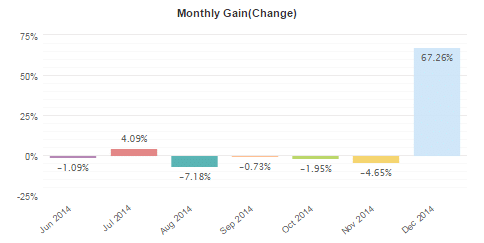 Do you have an update that shows Nov and Dec returns, full year trading return percentate? Or what was the ROI for 2015 for you? I update it every 3-4 months. You can check back sometime at end of February, and it should be updated. 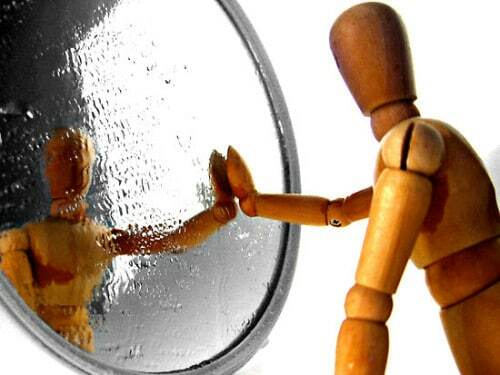 Thanks for sharing your own Trading Experience…. I really wish you || All the Best ||. . . . . . Yes I believe each trader has to go through the “process” before getting the AHA moment. I myself didn’t had a good start with fundamentals too. But hey, we all learn something, don’t we? Yes you’re right. Trend following has a set of fundamental principles and after which, different traders have different ways of entering a trade, exiting and managing a trade. I’m a discretionary trend follower and I read a lot into the price action of the markets. Like looking in a Mirror. Thank you Rayner!! Thank You for Your story! One Day I will write My own and help others, when I get profitabel and good. I study Price Action and I think it suits My personality and full time job. Patience is something I am working on, I might be wrong but I certainly will try on demo account (I hope). Anyway You opened My eyes to Trend Following and it is really one of the best I have read about. This suits me aswell as full time worker, I can leave the computer for many hours and as we know, the trend is our best friend. I will try this too. I wanted to leave all indicators, I have used many of them and seen the market turn long time before. But the way You use them sounds very readonsble. I could also think about using the ADX to confirm the strength of the trend. I certsnly want to learn more. You give me hope! I appreciate the time you took to read the story. Came across all ur blogs and articles and debates ..
10. Take profit and stop loss on high volatlity news. Everything looks fine to me except your risk management. 5% is a little too high to start with. me am cofuised and i dont know what to do becouse i have wipe out all my account nore then 10 time.even thogh it with small amout of money but i consider if it was also a big account maybe it can be the same.but i still strongly believe i can make money trading forex bcs some time i do it well but end up losing all the money i made.some time it come to my mind maybe it’s the broker who he is making me lose.i have even change broker,i have trade with more then 5 broker with really account ant more then 10 broker with the demo account .when i trade demo i do it well but when it come to really money it a big problem. Its important to get a good solid foundation into trading before you attempt trading live. I say your conclusion is very solid.I think to be best friend is Rayner and trends as concluded. Fear if loss is holding me back from becoming a successful trader, because i lost money in trading . The fear of loss is perfectly normal. You can consider starting small first and work on your trading process. Once you’ve gain the consistency, you can always scale back up later on. Thank you Rayner…. Winners never quit and quitters never win. Thanks for sharing your story! Perseverance & discipline are the key to success. Just finished reading your guide to price action trading and I have to say it was a fantastic guide! Pick up a few gold nuggets and I especially love using the slope of impulsed move to assess the trend. You’re welcome. Glad to know you found it useful. worth 3K was $10/pip if you win 30 pip you will earn 300$ and that simple it is. My mindset was being program to train that way and was doom for failure! By the way I have a question: You said you are a trend following trader. Do you scale out of your trade just to protect your position? and how do you manage your trailing stoploss? Thank you for sharing your experience. 1 standard lot on a 2k account is definitely too much risk. I do scale in my positions when the price goes in my favor. You can check out this post here on trailing stops. Great stuff. You are like the James Altucher of trading! I fully relate to your experience and I have realised that, although there is so much on the web for new traders who are trying to find their niche and style of trading, there is also a huge problem with most of those sites. They only show the winning trades after the fact and everything looks dandy and easy even a school kid could be a trader. Instead of helping traders, this will harm them because it gives them the wrong ideas about trading and makes them loose their shirt trying to replicate those “artificial” trades. I have noticed the same thing on your facebook site where most people like to show off their successful trades and rarely give up any useful insight (even when asked) on why the trade was taken in the first place. Also, rarely you find anybody posting trades at the time when they where taken with a reason. Whether the trade turns out to be right or wrong in the end, it is irrelevant because, as you well know, the market will do what it wants at any time and NOBODY is 100% right. However, if, instead of showing ONLY the good trades after the fact with the great number of pips locked in, traders posted the trade at the time it was taken, other novice traders would learn a lot, if nothing else, from all the comments from other traders agreeing or disagreeing with the position. You will be able to make your own mind on what makes sense in the discussion and what does not. But best of all, you will then see the result and can review the trade until you have done it often enough to pick up patterns and the better way of trading. Thanks for all the time you put in to help others. I appreciate your sharing on the facebook group and it tells me it’s the work of an experienced trader. So thank you for shining a light for new traders to learn from, truly appreciate it. Wow you truly are an inspiration Rayner! I was at my wits end like so many. So many teachers out there and some simply made me feel more “dumb”. It was sheer ‘there has to be some answer’ deep inside that kept me pursuing. And then I found you!!! This blog made be realise that I am not alone in this situation and best part, that there is an answer and hope! I take this as a challenge and one day I will give my testimony thanks to your encouragement! Really glad to hear the blog resonates with you. This is a tough business no doubt, and having peer support is a big plus! thank you so much for writing on your trading journey. Your honest and genuine reflections on trading is priceless. Thank you Rayner ….. Your article hit the spot again. I’am ashamed to say it but I have been at it over 10 years. I cannot give it up and I can’t seem to be profitable consistantly. Thank you for sharing your knowledge and experience. Keep fighting on my friend, I believe you’re almost there. Just finished reading this article and i must say what you have shared is very very useful for new traders like me. It has been a year since i started trading and I’m happy that I’ve realised early what style of trading suits me. I mean i need some motivation here.You’ve mentioned that you have worked at prop trading firms before.What’s your opinion on this. There are many ways to trade the markets and algo trading is one of them. Personally, I don’t think the existence of algo traders will affect trends in the market. They’re operating usually on the lower timeframes whereas trend followers are on the higher timeframes. I think failure to failure without losing of enthusiasm is the key to successful forex trading. Many will quit before they become successful trader. Yeah that’s right. Gotta keep the flame burning before it extinguish itself. I have been doing a similar thing trading pin bars and engulfing bars from support and resistance on 4hr and daily charts but getting no results. They very rarely occur on a chart leaving me with about 2-3 trades per a month, which is obviously not enough. I want to be a swing trader as I don’t think I can deal with loosing most of the time. Do you have any advice? Thanks! Trading false breakout is a decent strategy. You can look to trade it on the 4 hour and daily. They should provide enough setups on a monthly basis. Thank you so much for this article.Trading systems or styles are like sports. You cannot be good at any sport you try. Everybody can hit a ball. But you will not be Messi. You must find a sport in which you feel good, you see that you’re doing well and can improve. Then focus on that sport, getting better and better every day. Well said. Trading is just like competitive sport. Striving to get better each and every day. What you have written was exactly what I have gone through, Rayner…I am into my 7 years of trading, largely on the losing end over the first 5 years (even blowing up my accounts several times). It was only the last 2 years that I am consistently profitable month on month…but it’s all worth it as the 2 years can get back whatever you have lost and more…self discovery and discipline. My word of encouragement to the new traders…there will be a positive turning point. Glad to hear of your turn around. It’s not easy but definitely worth it! Just finished reading this article and I must say what you have shared is very very useful. I just started trading, using StochRSI. The problem I face is how to find best stock to trade. I’ve read up articles said that best stocks are those with 30 days above moving averages and high trading volume. They’re also saying, is best to get familiar with 1 to 2 potential or popular stocks when you’re new to trading. I started going to BarChart to look for stocks with 52 weeks highs and with high trading volume. Well, till now I still not sure if this could help me. The stock that I bought is trending up slowly. It’s true there are a lot of stocks out there. Thus, you want to focus on setups that make the most sense to you. Not just stocks breaking out of 52weeks high. One thing you could look at is the slope of the moving average, to give you an idea of the strength of the trend. Continue to inspire many more traders Rayner. I hope to meet you someday. Very inspirational. Appreciate your effort to share your experience with others. Thanks for stopping by, appreciate your kind words! hello rayner, i like this post, it enlighten me.. Im newbie in forex, just 1 month try fibo, price actions, supply demand..those method make sense for me than other indicators..
Can give you advise to me..
1.i want to grow up my account aggresive, it seems scalping suitable for me, but you said it doesnt have edge, what time frame minimum so i can use scalping strategy? 1m, 5minute, 15minute, ?Even in short timeframe there is trend move right? 2.i apply stop loss, it seem killing me softly, in demo account use 1 minute time frame many hit stop loss in row..ha..ha…i use broker with spread 70pips, so i double become 140 pips..for stop loss..target profit 1:2, 1:3…still confuse where the price will move, even i use multi time frame analysis, fibo, supply demand zones..im use tablet for practise..when it charged for 4hours.. Missed a trend..ha.ha.. There are traders who do fine as scalpers, but it requires the necessary skill to do so. I would recommend reading my trading guides on the “right side”. This will equip you with proper trading knowledge. Thank you for reaching out. Glad to hear that! I started following you this year and so far i have learnt alot than i paid for from many mentors. I guess i was running after people who didnt really care much about making me a trader but just taking my money through their classes. I blew all my accounts and currently budgeting and armed with many desciplines i learnt from you. Thank you very much man. Don’t mention it. Glad you found it useful. Excellent article Rayner! I can find myself within it :), I have 1 year of forex trading and still looking for a good strategy, still losing money, etc. Sometimes I double or triple my account in no time and then lose it all. I have dozens of trading rules collected but I admit I don’t follow them all the time, mostly when I feel Ihave an edge and breal the rules that’s when my account getsI blown up . Thank you for sharing, Gabriel. Interesting article. I am fairly new to FX and it left me wondering several things. Since you seem to have failed using various methods, which method is it that you make money from trading now ? or do you make money from selling courses. My searching reveals to me that it seems very common out there in FX land for people to repackaging free information and labelling it with “ultimate” or some other superlative and then selling it… There seems to be so many “educators” out there pumping out the same stuff without showing any proof that they actually trade profitably. I suspect that “Education” IS the holy grail of how to make money in FX. I’ve been trading for 18 years and lost many accounts when I was starting out, I’ve seen all types of marketers but Rayner gives most if not all information away for free including his own experiences and if he were selling something you could review his style first. I have discovered many good ways and “secrets” to entering trends over my time that I am not prepared to share online because I will not tolerate trolls. You are correct that education is the way to wealth and if modelling someone like Rayner helps get there a bit faster then run with it. It takes at least 3000 hours to have half a clue about trading and then you begin to learn and apply your own style, at 10000 hours you are beginning to really understand and get on top of your emotions. Trading is the worlds most boring job and we are always looking for something to fill the gaps, some write how-to’s on trading and I get on my dirt bike and bugger off for a day or two, each to his own. I think Rayner IS the most generous character I’ve ever come across in trading. I found Rayner while looking for help to overcome fear at higher levels, a natural roadblock in trading psychology as everyone eventually finds out. Thanks for sharing. I do agree that you’ll find different entries into trending markets, that’s what I found myself throughout the years as well. Glad to be of help, best! Thanks for sharing. I couldn’t agree more. Don’t hesitate to let me know if there’s anything, I’ll be glad to help. I have so far read your Price Action ebook. Will finish it soon and read the “Trend following” ebook. Glad to hear that. Go check it out and let me know your thoughts on it. Is it mistake? Or if it isn’t how to understand it? By the way – very inspirational article. It’s not a mistake. Trend followers they buy breakouts and sell at higher prices. Hey my friend Raynor, it is always interesting to learn something from your posts. Awesome to hear that Venkat. It is a great article. it’s just stick right to my heart (of problem). or sometimes, I was right but I’m chicken out before it blossom. I really would like to know how to set my mind set for trend following method. Really appreciate your suggestion in advance. Thanks for sharing your experience. Try getting a trading plan and following it closely. Have fixed rules to follow and focus on the process, not the results. Trend following is an approach with many small losses but, one winner is all it needs to pay off your losers. Thus, cutting losses short is mandatory to survive in this business. Thank you so much. I agree. You word is very true. I’ll try to cut loss short. in the past, my understanding is the market is always random. So, to find the right entry level is difficult. My timing always not perfect. Then I tried to average loss. I have to change my thought on this. If it’s in a range, you can identify the Support & Resistance and trade them accordingly. What do I need to include in my trading plan? What does your trading plan/process look like? Just like you, Rayner, I tried the whole 9 yards. Experimented with a bunch of different strategies and systems, including online signal services, but didn’t really get anywhere until I started trend-following and using my own system that I put together from all my studying and reading. I also found that longer timeframes worked better for me for stocks and ETFs (weekly or monthly vs daily). What works best for me is good risk management via position sizing, and a set of simple rules that are easy for me to follow, emotionally, so that I don’t second-guess myself. I also found that I need to limit myself to trading no more than 8 different stocks simultaneously, or it is too much work to monitor everything. Much less stress that way, for me, and only needing to check end of week prices when the weekly bars have formed. But what’s right for me may not work for someone else; people need to find or develop a system that they can follow without sabotaging or bailing out. A person needs to follow his rules, or one can’t trade. Period. That’s why I advocate your “points” system. It’s brilliant. Thank you for sharing your experience. It seems like you’ve found your own approach and I’m really happy for you. You nailed it perfectly and I couldn’t have said it better. Have a read at my trading guides on the right-hand side of the blog. I believe those will help you immensely. There’s no shortcut in this business. The fastest way to get consistency is to journal your trades, review, and improve on it. I’ve been trading for just a year now and I’ve blown many accounts already. Thanks for the share, it gives me hope that it’s possible to be profitable in this business. I have been following you sine 1 month your trading satragies are so good.I am currently trading on forex market.But i also want to trade on stock markets.Can yo plz tell me which is the best stock broker.bcz i lived in pakistan and i have search many brokers that are only for USA citizens.Can you plz tell me which is the best brokers for stocks for beginners. Sorry I can’t comment on stock brokers since most of them are based in US or outside Pakistan. Your honestly ,effort n precious time you put in was not wasted as your Strength of members & subscribers continue to increase.Well done n keep going . I had been trying to learn more on trading n hope I can soon be profitable . Thanks you for sharing your personal experience n imparting good knowledge in your trading to others … Cheers!! I’m glad to hear that man. Afternoon Rayner, This is Kgothatso all the way from South Africa i just read your journey as a trader very inspirational and it gives me hope to keep going, i have been introduced to you a month or so back by a fellow trader and am glad he did you are Real Rayner. In my year of trading i have never used an indicator fortunately and am not about to start. I saw ur previous video were u analysed Gbpnzd and Gbpusd making use of clean charts and continuation patterns bull flags this made me feel at ease finding a professional trader that incorporates these patterns in his analysis cause i do to but get some criticisms for using them saying that they dont work …. with that said thank you so much and may the God Lord strengthen you so that you can continue to be a blessing to most of us out here. As i take ur advise to surround myself with real traders! !from today tradingwithrayner’s website is my new home. I’m glad to have you on board, my friend. Thanks for your honest and motivational story. At least, we are well informed about trading forex. If you say we can do it, I totally agree with. You are a good teacher. Quite like what is been sold to us out there. That trading forex is easy, one of our student started with $500.00 and made $40,000 in one year. I have spent a lot of money learning forex, but have not been able to make profit. I am almost at the point of quiting, but I saw your video about trading with the trend and how to use 200EMA to determine trend on a daily chart in the past two weeks with a micro account, I made $500 in two weeks. What I have learned from your weekly videos and your free books revived my confidence. I greatly thank you. You brought me back to actually learn how to trade forex. i loved watching your videos, short and to point. Also the greetings. Please what time of the day is best to scan through charts to pick up setups. I’m happy to hear it’s helping. There’s no best time of the day to scan for setups, although I personally do it after new york close. Thanks for sharing your amazing experience and how you reached to this stage by series of trial and error. You rightly said, everyone initial thought was could enter Forex and easily make quick money trading both sides of the market. But, once they start trading with actual account and then they realize that’s not true. Lucky people got your guidance now. Thank you for taking the time to read, Ram. Yes that’s very normal for a Trend Follower. I’m around there as well. Yes, risk management is key. I am about to begin my trading journey in a few days, honestly I am in the process of deciding on a strategy, but my problem is the more I think on strategy, I am into analysis paralysis mode, as every strategy has pro n cons, do you feel I should begin first, and then finalise a strategy…? Take it one step at a time. You won’t get the perfect strategy, but you’ll constantly refine and tweak it over time. It’s really impressive. I started trading at November 2016 with a pair very familiar to me EUR/TRY (because I’m Turkish living in France) and at that time a clear political uncertainty was on my country which made a huge uptrend in this pair. I started with 100€ on a broker with a leverage of 1/100 and it went just perfect, on January my capital was 3500€, of course I wasn’t fallowing any risk management or strategy but pure luck… I was feeling like unstoppable river. But of course like all trend, mine also reversed but I was so much “in love” with my trading strategy that I was blinded to see the reversal. .. In only one week I lost 3000€ of my capital (it’s not much as money but too much psychological speaking…) It made me question the life and made me want to go to Tibet for meditation like Ace Ventura… Then once the shock passed, I started to search for strategies, EAs, patterns and all you can imagine… But nothing worked well, (I also imagine that I didn’t try them long enough) then I found your website and your videos … frankly thank you for helping me make my mind and restart to look for trends! Glad to hear you’re back on track. It’s not wise to do so as the forex market is pretty much correlated with the few major currency pairs. Hi Ray, I am looking to begin trading Binary Options and plan on getting registered with your trading course, however, I am from the US and the first step is what broker can I trust besides Nadex (Nadex is too difficult for me to understand and I don’t have the capital to buy expensive lots). Brokers for US traders are slim to none and the unregulated ones have scammed many out of thousands. I read that Marketsworld has taken a turn for the worst. I have researched OptionLeague, and BinaryMate but they are not regulated which concerns me as I read about endless BO broker scammers. Any help o brokers would be greatly appreciated. I don’t trade binaries man. Michael Jordan said that quote you edited, lol. the pleasure is mine bud. Thank you Rayner for sharing with us your forex trading journey. The pleasure is mine, Mary. If that is really a sincere question, you won’t try to be anonymous using a fake email. .I can definitely rely to your story, i am going through the same struggles and you just gave me new hope. The journey can be rocky but the reward at the end of the tunnel makes it worth it. That’s such a motivational journey you had shared here. However, you didn’t mention anywhere that how was your family /friend reactions, when you were standing at loosing position for years ? Since, financial loses makes your daily life difficult somewhere.Don’t you think ?? I had their support and I didn’t have any mouth to feed, so I wasn’t really in any desperate situation. Hi…in your 5 traits for a trader…the last point where you have said that a trader buys high and sells low …can you explain it to me….generally in trend following you just follow the trend, for uptrend buy low and wait for the trend to take it forward and for a downtrend sell high and let the trend take it forward…. It means buy high sell higher and vice versa. Great Article Bro Seen your videos in Youtube especially breakout strategy ..build up trade with trend and not too far from bo..these are my mantras from you Excellent Work Bro Keep it up Please let me know if there are better strategy than this..
You’re welcome bud, glad to hear that! you get in thinking in 2 years you’ll be driving a Ferrari and trading from a beach. If you manage to keep your head above water you suddenly get 20000 internet ‘friends’ who are at the beginning of the trend who want to skip all the other steps ha ha. Well done Rayner, you made it and the best of luck to you and your family. I will continue to hang around, hoping for some crumbs of knowledge from your table. Thank you so much for this article. I really appreciate your honesty. It was like reading my own learning journey word for word! I was , last month, just at the point of giving up after 5 years, when I came across your articles and videos. Since then my trading has taken a turn for the better! It’s early days but I have confidence that I have now finally found the best advice yet! Thanks again. Awesome to hear that, Claire! i have something to share too, i remembered briefly buying AIG shares when suddenly the next week the sub prime crisis blew up, it turned my first investing experience of a $3k investment into $30 overnight, talk about prefect market timing, put me off investing or trading for the next 5-6 years, which of course i missed the great rally after that, nevertheless it was fruitful to hear your story, wonder if i could learn more from you before venturing back into trading, to be able to set foot off on a right track with a guiding mentor, wishing you a Happy Chinese New Year! Thank you for sharing, Pang! This means a lot… People like me are very lucky, everything to learn is here, especially for new to trading. Your ups and downs during your first to four years of trading have a big impact on me. Fewer people sharing this story. And I am very glad that I learned a lot from here, and will be applying on my journey to the trading world. Truly, as a new in trading, I have only one goal in mind “Not to lose at all time, and gain profits every each company I bet”. But the question is “How can I do that”? That’s the big question for all. Thank you so much for this. I just learned trading a month or so ago and I can relate from almost 90% of what you wrote here. When I started to learn about trading I even thought about quitting my day job to do full time trading only to lose 50% of my capital on the first 2 weeks. I’m starting to doubt myself then I read this article and realized that what I’m experiencing right now is just labor pain of learning something new. Thank you again and God bless you. Hey Rayner, your story is inspiring, am following you since a month and look forward to your posts. My story is quite similar. I have put in 3 years into learning day and night but am not a profitable trader. Most of my views are accurate but i dont have the guts to trade because of fear of losing. And whenever i do trade selectively trade does not go in my favour. I lack execution skills. What do u suggest i should do? Thanks. For me now Its been 2 years of trading from which one and half year, my trading account capital was in down trend, now from last 6 months i am finally able to see it in sideways (Means on weekly basis, i loss only what i make), but not been able to move in uptrend. Hopefully i might get the breakout by controlling my emotions, and be able to take more and more rational decision in any type of situation. Thanks for sharing, I hope it goes higher from here! Hi, I’m Paul. I’ve already lost some money with trading. I only have 100 on the nadex platform. Can you help me? I have some goals and want to turn that 100 into 200. Then 200 to 400 and so on per month. 100% gains every month for a year. Please help? Thank you for sharing… Im new to trading and still learning. Ive lost some of my capital but at the same time i learned a lot about my self and trading in the real world. This was so inspiring… Thank You! Nice post, I think one of the best post . Enrolment is closed at the moment. You can sign up for my email list and I’ll update you when it’s open again. Nice read Ray, i can relate to a lot of what you have been through. I am on the same journey, in the phase of struggle but haven’t given up hope. Keep on pushing on bud! Your honest story really touched me, and gave me hope, thank you Rayner! Thank you so much Rayner for sharing your story. I had similar experience as you had. It gave me hope that soon I can be a successful trader myself. Im very much grateful for the likes of you who is so generous with your knowledge in FX trading. May your tribe increase. Today’s message struck something in me. I have to be strong and patient. I started trading live about 2 weeks ago and I started with $100. I traded a demo for 3 months before going live. Yet the feel is different with the live account. I only have $20 left but am learning my mistakes as the day goes by. I would like to have you as a mentor. I also started reading books because of some things you said in your blogs and am seeing the importance of reading books. Rome wasn’t built in a day and it’s the same for trading. Sharing your life events are indeed helping in creating a good forum along with trading education Rayner. God bless you rayner.I am so encouraged and inspired. I have chosen you as my mentor in trading.I found something unique about your heart. I just wish someday,i would meet you in person. Hello Rayner, i´m really inspired by the story of your trading journey, i´m sure i´m going through what you went through and i would like to learn more from your experience. please tell me how i can join your class. You can join my email list and I’ll update you when it’s available again. Thanks Rayner, this boosted my struggling self-confidence after i lost almost all of my borrowed money that i invested in leveraged bull&bear certificates and turbo warrants (it got knocked out), i got stuck because my bank (or maybe the emitter of the options) don’t offer stop loss function, i am sure i can make money otherwise. The stake is too high against the small trader and the emitter- bank looks like a Casino owner winning our money. I know I’m too late but I think that I may be this time on a right track when I found out about your youtube videos and this website material I’m getting through your email service. I’m not good at English but I will try my best to explain my problem to you. Rayner, as you asked that if I need your help I would have to comment this post (expecting to get your help). I’m into trading for approximately 1 and a half years but, I’m loosing what I already had. I juat thought sometimes that I’ve learned what I can over the internet and now I just want someone to help me a little to further know about trading. I have a pasaion about trading so I’m not here to quit just want someone to help me dig deeper. I hope you can understand what I’ve said. Juat one thing to ask now rayner, can you help me be a better trader? Can you contact me to help me learn even better? Please do reply atleast so I know that I’m getting your help or not. A big thanks for whatever I’ve already learned from your videos. Thank you so much Rayner for sharing this… truly inspirational. I am pretty much in the same boat you once traveled. Striving for a happy ending like yours. I am speechless . Maybe because you helped me and other fellow traders too much. God bless you. thanks for sharing all this. Its invaluable for all traders out there. – you mentioned that your batting average in trend following is 30% ish ( 3/10 winning trades), so what is your risk reward profile? is it usually 1:2, 1:3, or 1:10? – do you hold these trades for days?weeks? months? I have about 45% win rate right now with a long-term average of 1:2 risk reward ratio. Winning trades usually last for months. Brilliant article. Rayner your books and articles have been a turning point in my Trading. Thank you. Awesome to hear that, Nita! I appreciate the kind words, Rajesh. Thank you Rayner.. I’m a new trader and Reading your articles and books makes me stay woke and also gives me much energy to press on.. Your story is amazing but the lessons are even better. Now, because you asked people to share their experiences, here is my story. I was struggling a month ago with 20 losses in a row when I asked someone else if this is normal and he said it’s not. Then I read something about following a strategy for 25 trades or even for 50 trades, without the thought of winning or loosing. That was the point where I start learning and adapting. After 27 trades, I tried another one in the same time, but I didn’t give up to that one. It’s all happening on a demo account. I have a real account as well but after I lost most of it I stopped and I’m experimenting on demo only. It’s all on paper in my journal, with bad and good things, with ideas and conclusions. Every day I’m reviewing what I wrote and testing again. I don’t know when and where I’ll end up, but there can be only one way for me. I know I’m on the right path, I just need some guidance, some directions. Awesome, thank you for sharing Julian! My tablet corrected your name automatically. Hi Rayner. I dont understand the buy high and sell low? How can you profit from that? Thank you for sharing your trading journey Rayner. You provide excellent trading lessons, but most of all you are are a great person! I started in 2012, and studied EVERYTHING from stocks and value investing, to options, to forex, to futures and indexes. Like you I learned something useful from everything and every one. Last year I finally came to the conclusion there is no more I can learn that is going to make me consistently profitable, and telling myself it’s not my system, it’s not the market, it’s all because of me. 2018 was the first year I learned how to make money consistently day trading futures, and long term trading daily and weekly stocks. I made back all my losses within a year, but am still working on myself and my behavior in order to keep it. My behavior that takes money away is being anxious and entering early, hating to miss the action and chasing the price, watching every tick and losing the overall market, afraid of losing profit, and afraid of losing trades. It’s really really tough, kind of like hitting your thumb with a hammer, it hurts, yet you can’t help but do it again and again! Keep up the good work Rayner! Thank you for sharing, inspiring! I’m also at the point of 50% loss in capital and trying out various strategies. Your article really resonates with me. I hope I can preserve like you say. Keep on going! Let me know how it works out for you, cheers. I’m 10 months into trading and I yet have not found an edge in the market. I spend many hours everyday trying to learn and practice to become better but my results doesn’t show it. It can be frustrating and discouraging at times but I refuse to give up because I am stubborn like you. Hi, Thank you for everything. Been using your trend following strategie for some Time now, and still losing money consistently. Im trading with iqoptions, dont know if the problém is in that. I have like 1 winner to 10 stop losses, that not Good. Any suggestions? Josef. I don’t trade binary so I can’t comment on it. I was introduced to the world of trading just around 2 months ago in October 2018 and within this short span of time, I lost over $60, 000.00. Basically, my ‘holy grail’ was the RSI; I buy when it is showing a value of 30, sell when it hits 70 and I ignored all things else. That proves to be my undoing…. I felt greatly inspired by your ‘tutorial’ videos that you posted on YouTube; through them and with hindsight, I had realized those simple but yet highly deadly mistakes (trading against the trend being the biggest one, not setting any stop-loss which blew up my entire account, trading candle stick patterns in isolation etc) which I had made resulting in my loss. Right now, I have been following your videos on YouTube closely and saving up in the hope that I will be able to replicate your success story. Start on demo or a small live account. Get your consistency right first and then you can slowly scale up later. What an inspirational write up .l am a new trader trying to get extract income for my self and family. But having lost 75% of my capital I know I knew nothing about the trading strategies. It’s important to look back on your mistakes and see how you can learn from it. Take it slow, all the best! I appreciate your honesty in sharing your journey of where you was to where you are today. I have recently starting my trading journey and am yet to find a strategy that consistently produces a net profit for me. But thanks to your inspiration I wont give up one day I will regain my losses and maximize my profits. Continue sharing your great work with many of us. Thank you for sharing, Jameelia! Hello Rayner, thank you so much for your videos and posts. I love the way you relay information in such a simple straightforward manner. I’m a new trader and I’m mostly interested in day trading but Forex has grabbed my attention through watching your videos. I only have a small amount of capital, but I want to begin trading Forex. Please recommend some good brokers for beginners. Thank you so much, blessings! You’re welcome. You can do a quick search on the top right–hand corner and find those posts. thank you for sharing this with us. now i am more determined in my goals! Not all trades will capture a trend, most will fail a few will make it, and that’s how you get paid. You consider widening your trailing stops too to ride longer-term trends. Thanks for sharing your experience in trading you have encourage me because am like giving up because I trade binary option but all my investment was a donation to the market for this reason I conclude not to be damaging my money but you have stir me up to start learning the more and not to give up. thanks very much I appreciate you. Am a dummy almost feeling bored because of unexpected difficulty in trading. Your story gives hope it’s common to be tortured by the market and still be profitable. It is out of humble mentors like you who say about their failures who we can learn and get hope from. Thanks much TEO. My pleasure, Patrick! Glad to be of strength and hope. I’ve Learned Enough From Different Sources Am Getting Profitable Everyday Using Proper Risk management, You’ve Been My Superior From The Very First Time. Awesome to hear that, JR! I hope the same for you too, Winston! Hey Rayner, Thanks for sharing this article. Before reading your articles, I lost 50% of my capital and still I could not sell trades (feeling the pain for loss). After reading your articles still I get fear when I enter to trade.. Can you suggest..